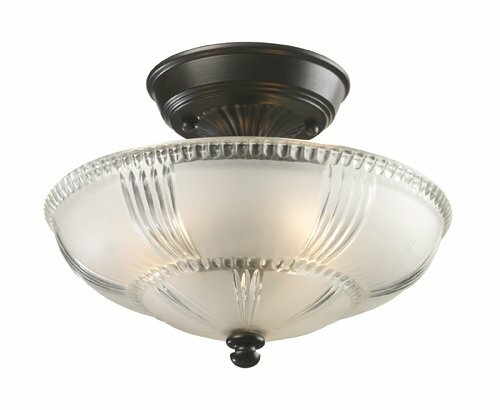 The ELK 66335-3 Restoration Flushes collection Close to Ceiling Lighting in Oiled Bronze uses Incandescent light output and brings Antique style. The total wattage is 225 and the voltage is 120 volts. The ELK Lighting 66335-3 requires 3 bulbs (not included). Additional Information: Shade-Frosted Glass with Clear Highlights. If you have any questions about this product by ELK, contact us by completing and submitting the form below. If you are looking for a specif part number, please include it with your message.